Is medical uniform rental right for your facility? While there is growing agreement among medical facility managers on the benefits of medical linen rental, much of the industry is still in contention over whether healthcare facilities should implement a uniform rental program or leave the purchasing and care of their uniforms to their doctors and nurses. It is, in fact, one of the more popular topics in online forums and related websites, especially since there is no current law that requires medical facilities to provide for their personnel’s uniforms. But while a general consensus on who should be responsible for providing medical uniforms might be impossible to achieve at this point, it may be worth discussing who clearly benefits from a medical uniform rental program. 1. Maintain uniform standards on cleanliness. Hygiene is undoubtedly one of the most important principles in any healthcare facility. While there is no guarantee that overworked medical staff will follow standard laundering processes for medical garments, implementing a uniform rental program will ensure that employees are wearing uniforms that are cleaned and maintained to a quality that is up to par with standards that are expected and imposed on the industry. This is especially true when the medical uniform service provider complies with and is accredited by the HLAC and TRSA, effectively safeguarding their facility, employees, and their patients against the dangers of cross-contamination. Sufficient studies have been made on transmission and the survival rate of disease-causing pathogens, including the dreaded antibiotic-resistant types of S. aureus on linens and garments. Implementing a medical uniform program ensures that employees are not carting around bacteria that may have clung on to their fabrics during their shift into public spaces and their homes. Similarly, with their uniforms being confined to their medical facility and their laundry service provider’s facility, there is a reduced risk of medical personnel bringing harmful bacteria they may have picked up from outside into the hospital that could endanger their immune-compromised patients. 3. Maintain a consistent uniform quality. Like most work apparel, scrubs and other medical uniforms are ultimately linked to perceptions of professionalism. 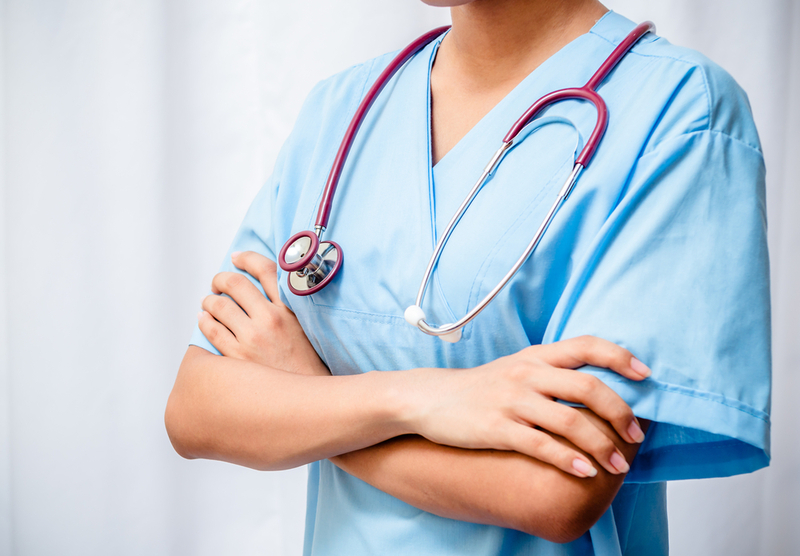 By implementing a uniform rental program, employers in the medical field can take control of the quality of their uniforms and subsequently the kind of professional appearance their employees present to their customers. Convenience. The medical profession is demanding and exhausting enough. Requiring these overworked employees to follow a rigorous laundry procedure – such as this seven-step washing process suggested by a microbiologist – to achieve a sanitary result is too much of a burden. Relief from the burden of cost. A uniform rental program ultimately frees medical professionals from the cost of purchasing brand new uniforms as well as the cost of maintenance, including the costs of water and electricity consumption. When it comes to medical uniform rental, picking the right service provider is just as crucial as making the choice to enroll your facility in a program. Choose a medical uniform service provider that has a reputation for quality and the accreditations to back them up: choose MEDICO! Medico is an HLAC-certified, Hygienically Clean, CAL/OSHA-compliant facility that specializes in the linen and apparel needs of the medical industry. Our operations are designed to deliver the highest standards of linen and garment cleanliness especially suited for the medical industry. Everything about what we do is carefully crafted to ensure convenience, accuracy, and efficiency on all fronts of linen and uniform management. Discover more about Medico and the benefits of an effective and reliable medical uniform rental service today! Call us at 213-749-4433 to speak with one of our consultants! How Hot Does Water Have to be to Kill Bacteria? Washing Healthcare Linen Pr... When Should You Throw Away Your Linens?